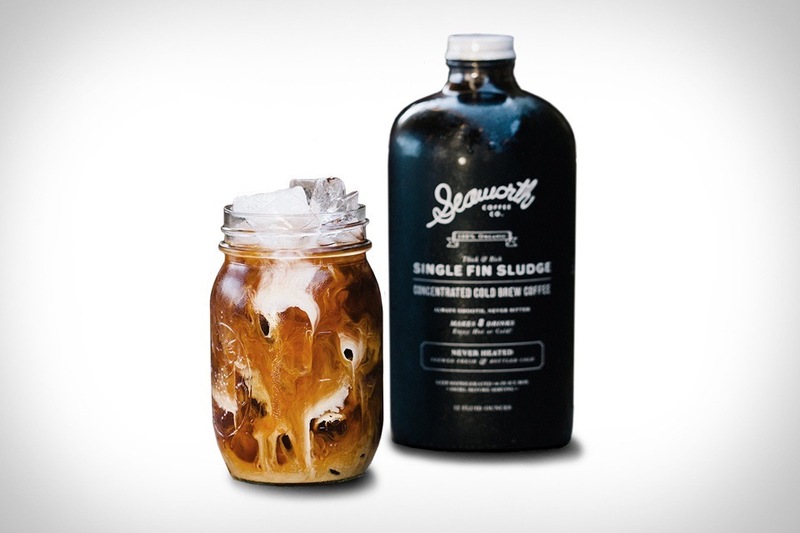 We'd be the first to admit that "sludge" isn't typically the type of word we like associated with our drinks, but in the case of Seaworth Single Fin Sludge Cold Brew Coffee, we'll gladly make an exception. This thick, concentrated cold brew offers tons of coffee bean flavor with minimal acid, giving it a rich buttery taste that's great over ice or warmed up. And thanks to a caffeine content that's nearly four times higher than a regular cup of coffee, you won't be needing another glass nearly as often. Do you have access to hot water or milk? Then you have access to coffee — provided you remembered to pack yourself some Jiva Coffee Cubes. Made from premium Colombian Arabica beans and unrefined cane sugar, these compressed cubes are available in five flavors, and are ready to use anywhere you can find hot water. Just drop the cube in, wait 30 seconds, stir, and enjoy. Great for hiking, camping, or when traveling to remote regions where the best coffee available comes from McDonalds. We know what you're thinking, but unfortunately, Bulletproof Coffee didn't get its name from providing you with superhero-like toughness — but it can provide heroic levels of focus. It starts with the beans, which are chosen to deliver maximum alertness, and finishes with the MCT oil, which improved memory and cognition while promoting fat burning. Add in a little unsalted grass-fed butter, and you've got a delicious way to start your day that will keep you focused and energized all day long. Make yourself an excellent cup of coffee wherever you go with these Grower's Cup Coffeebrewers. Filled with freshly ground single estate specialty coffees — that isn't Maxwell House in there — these smart pouches let you pour hot water into the pouch, then wait for 2-4 minutes as the pouch uses the pour-over method to brew up a great cup of joe with the rich taste of a French press. When it's ready, simply take the cap off the spout, grab your favorite mug, and pour — and you can even put the cap back on to keep the rest of it warm. Combining on the go convenience and terrific quality, they're the best of both worlds. Each morning you wake up to your morning coffee fix — you need it to get yourself going, be productive, and function at your best — but if your coffee did something more, now that would really be something. Sure, Toms Coffee gives you the jolt you need in the morning, but it also helps people in need get drinking water through their partnership with Water For People (a week's worth of water for each bag of coffee). And even though they're better known for their shoes, Toms has figured out the key to great coffee, with quality sourcing, careful processes, and roasting right here in the USA. There are some things in life that are just made to go together — cookies and milk, peanut butter and jelly, spaghetti and meatballs — and of course, whiskey and coffee. With Whiskey Barrel Coffee, you get the best of two great things, blended together for a beverage that's at once sweet, smooth, and smoky. Green coffee beans are aged in authentic bourbon barrels, infusing them with the taste of whiskey, and then they're roasted in a vintage European roaster for a rich, full-bodied taste. The whole beans are then stored in wax-sealed, labeled, and numbered bottles, ready for you to grind at home for fresh, great coffee. Sipping on a cup of cold brewed coffee during the afternoon sure beats crushing a high fructose corn syrup soda, but it's usually a more expensive and more difficult process. The makers of Cold Bruer ($50) know that, and want to make it easier for you to brew at home. 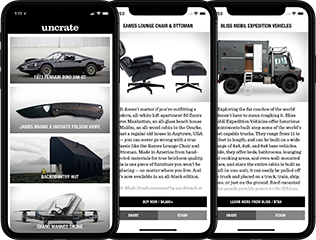 The system features a clean, sleek design which is highlighted during a visually appealing process. Kick the soda to the curb and save the cash from your coffee jar in favor of something that looks good and tastes better.